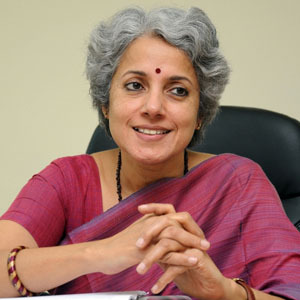 Dr Soumya Swaminathan has vast experience in health research and research administration. Prior to this assignment, Dr. Swaminathan was Director, National Institute for Research in Tuberculosis (NIRT) in Chennai. After completing her MBBS from AFMC, Pune, and MD in Pediatrics from AIIMS, New Delhi, her further training included a Fellowship in Neonatology and Pediatric Pulmonology at the Children’s Hospital of Los Angeles, University of Southern California, USA and a Research Fellowship in the Dept. of Pediatric Respiratory Diseases, University of Leicester, UK. She has spent the past 23 years in health research.